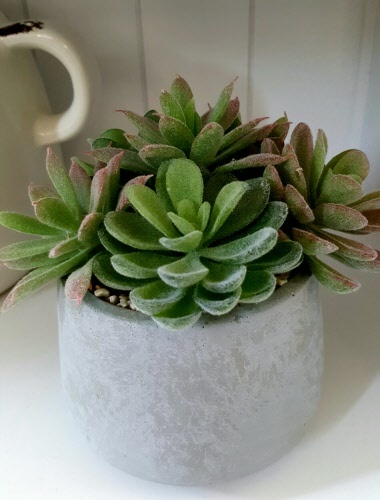 Puebla faux succulent gives a touch of greenery to any space. Concrete effect container, very realistic. Measures 14cm high x 13 wide approx.